With a turbulent past that was brought upon by socialist Yugoslavia, Sarajevo and its people have many stories to tell. This charming city is the home of beautiful Ottoman and Austro-Hungarian buildings that give the city a timeless character. The Serbian Orthodox Cathedral in Sarajevo is a top tourist attraction in the city. Built in 1874, it is one of the largest Orthodox churches in the Balkans. It is located in the city’s centre and easily seen from many parts of the city due to its height. The Tunnel Museum is another must-see attraction in Sarajevo. A scar that was left behind post-war, the Tunnel Museum tells stories of Sarajevo's bitter experiences in the 1990s. This impressive, 1.6-meter-long, hand-dug tunnel was used in the 1990s as an escape route to the world outside of Sarajevo. The fact that this city was nearly annihilated during the war in the 1990s did not set it back. In fact, Sarajevo's history is now the backbone of its beautiful culture, amazing people, and historic city centre. The ideal way to see Sarajevo is by foot, and the city’s many walking tours are popular among travellers, expats, and backpackers alike. Neno, Merima, and Davor are Sarajevo locals who love to show tourists their city. 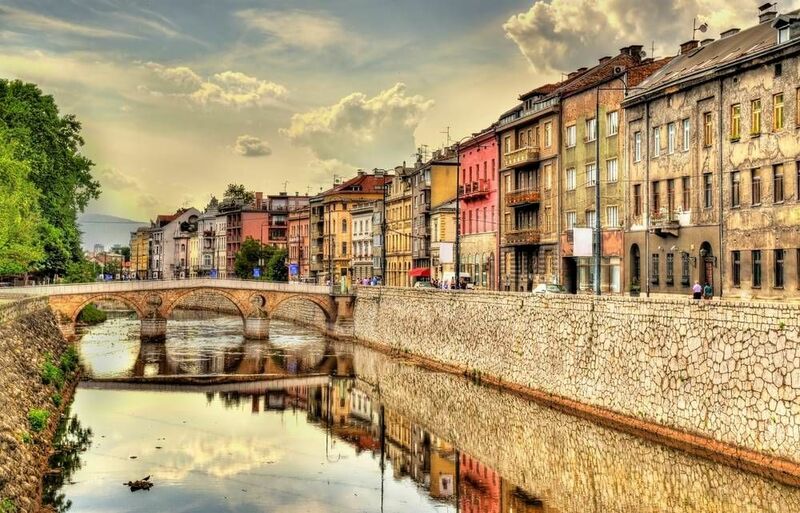 Their goal is to get you to experience the real Sarajevo, by immersing you in the culture and explaining the importance behind the top landmarks in the city. They will complement the tour by telling you of their own experiences, everyday life, and war stories. Witness the main landmarks of Sarajevo’s Old Town and city centre. The 2-hour walking tour will also take you to the most authentic side of Sarajevo away from the tourist attractions. Learn about the tour guide's personal life story while growing up in socialist Yugoslavia. Listen to his war and post-war sorties in Bosnia and Herzegovina, and learn about the historical importance of the city. Check out their website for instructions on how to book a tour. The ideal tour for the Sarajevo first-timer. Discover the main sights of the city led by a team of informative guides. Learn about the history, culture, and architecture of Bosnia. Visit the main attractions in the town including Latin Bridge, Emperor's Mosque, Town Hall, Ghazi Husrev Bey's Bazaar, and Synod Orthodox Church. Experience the city from the eyes of a local who will share stories of Sarajevo’s past and present. The tour lasts approximately 1.5 hours. Below you can find more popular (but not free) activities and tours in Sarajevo. Are you from Sarajevo and want to be a tour guide? Please get in touch by submitting your details on this page!